Many companies using Kapost have employees and departments spread across buildings, cities, and countries, which causes unique problems when trying to manage content. Kapost created the Organizations (aka Org) feature to help people manage content among parts of their companies that otherwise have little contact. This prevents duplications, promotes efficiency by increasing content visibility, and allows multiple departments to work together. The Org feature allows a company to have a single overarching Organization (called “Parent” or “Org”) unit of Kapost. 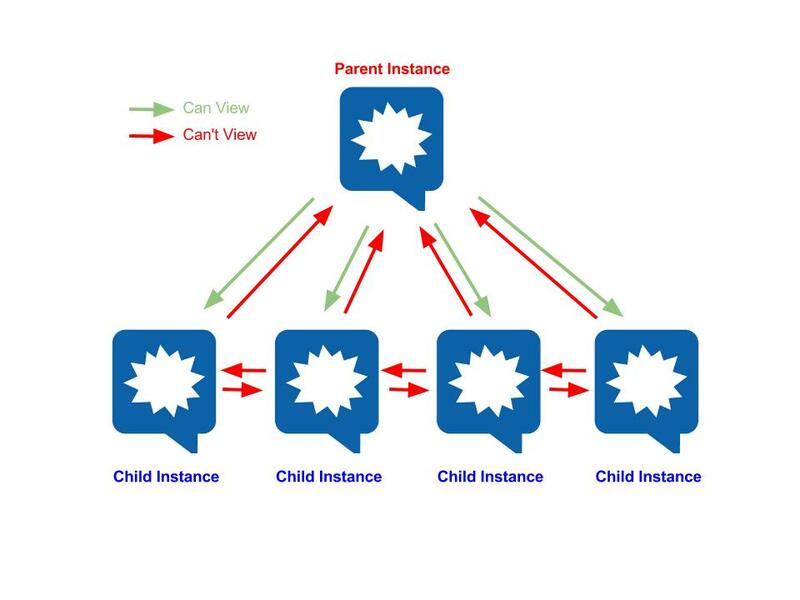 Underneath that Org, you can set up individual “child” instances. For example, a company might have one Org level instance named for their company, and three “child” instances named by region such as “Company Name North America,” “Company Name EMEA,” and “Company Name APAC." The Org instance provides that one, holistic view of content across businesses. You don't create content from the Org instance. Rather, it's a place in which to see all of the content published by the different child instances that your company owns. You won't see a Settings page in an Org instance, as the child instances are managed on their own unique set of settings. The Org is a place to view one global editorial calendar rolled up, track activity day-to-day, see all initiatives rolled up together, and aggregate analytics. Learn more about managing Org members here.